My early attempts at dill pickles were not very successful. I followed the FDA guidelines from the Ball Blue Book of Preserving , and ended up with tasty pickles with absolutely no crunch. I love my Blue Book, but these were not the pickles I was looking for. As I understand it, many commercial manufacturers add alum (basically aluminum) to give their pickles crunch. Needless to say, I wasn't going that direction. These no can dill pickles bring the crunch without the aluminum. 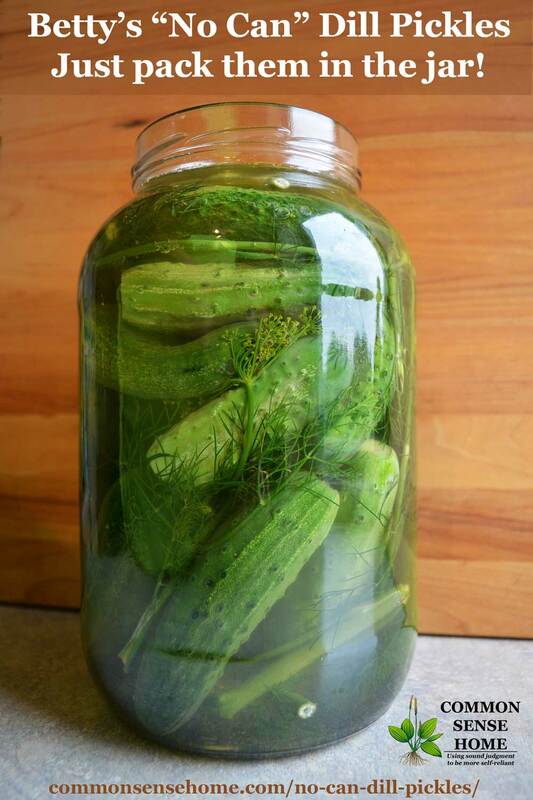 [Read more…] about No Can Dill Pickles – Just Stick Them in a Jar!